In case you hadn’t noticed, I spent November firmly and happily ensconced in this year’s National Novel Writing Month, abbreviated to NaNoWriMo for your convenience. NaNoWriMo is the manic, overcaffeinated, unpaid, underslept, head-desking, face-palming, keyboard-hammering, plot-bunnying, ninja-zombieing, annual November endeavor of hundreds of thousands of writers world-wide, each writing their own 50,000-word novel between November 1st and 30th. 2011 marks my eighth year participating in this adventure. Because I am a crazy person. I first stumbled across the NaNo website in January? February? of 2003 — and I knew this was my kind of party. AW yeah. With bated breath, I waited most of a year before the next November rolled around. When it did (because how could it resist? ), I banged out 50,000 words of what would eventually become my high fantasy novel Triad. In 2004, I tried it again. I got 12,000 words into Triad‘s sequel and quit. Only last year did I realize that this happened because I had no plot. In 2005, I staged a comeback and got my 50k in. Bam. In 2006, I did it again. In 2007, I moved across the Atlantic Ocean. This is conducive to *headdesk*ing and *facepalm*ing but not to NaNoWriMo-ing. In 2008, another successful comeback. Another win in 2009, and another in 2010. But Is This Getting Me Anywheres? You bet your patootie it is. 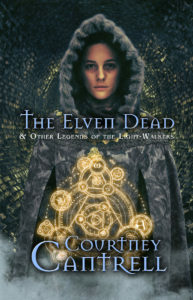 Colors of Deception, my 2008 NaNo novel, came out in April 2011. Shadows after Midnight, my 2009 NaNo novel, came out in October 2011. 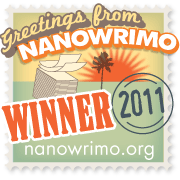 Stains of Grace, my 2010 NaNo novel, is slated for release in April 2012. Triad is on the publishing schedule for 2012 and will come out in two volumes: Legend’s Artisans: Schism and Legend’s Artisans: Triad. Myers-Briggs-wise, I’m an INFP who, in some things, turns into an INFJ. It’s really kind of scary how accurately parts of both profiles describe me. I don’t want to go into detail about either right now, because that’s not what this blog post is about. But if you click through those links and read the profiles, you’ll understand what I mean when I say that I am crazy passionate about writing, and yet I have trouble setting myself writerly deadlines and actually adhering to them. Note that I’m a master at setting the deadline; I just sail past it with a wave and a wink, and the easy sailing-past doesn’t bother me one whit. Deadlines are great for me. But only if they come from outside. 2. PEOPLE! PEOPLE DOING THE SAME THING I’M DOING! AT THE SAME TIME! I cannot count how many exercise videos I’ve purchased and tried to do at home. It never works out. I get bored with them. I talk back to them. They don’t talk back. I hate not getting a reply. I move on. I’m an introvert, which means I get my energy from my alone time. But I also crave interaction. I crave the meeting-of-minds that happens on a deeper level. I crave that instant in which the other person gets me. 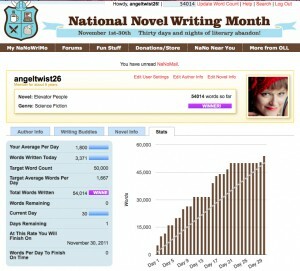 NaNoWriMo is like 300,000 people getting me all at once, sustained for a whole month. I swear I don’t mean that as dirty as it sounds. Fortunately, I don’t have to talk to all 300,000 of them. I get to interact with a choice few, and they meet my mind in a big way. They keep me going, and I keep them going, because we grok. When I talk, they talk back. To an INFP like me, that’s water in the desert, y’all. 3. PLOT BUNNIES AND NINJA ZOMBIES! Honestly, I don’t know what plot bunnies and zombie ninjas are all about. They have something to do with getting unstuck when you get stuck during NaNoWriMo. I think. If I were to make up my own connections: Bunnies proliferate; it’s great when plots keep going and spawn new ideas. Ninja zombies…mindlessly…kill people…in interesting ways. Moving right along! Coffee is a writing elixir. It is a writing balm. (Please note, that’s “balm,” not “bomb.”) It is a salve unto the writer’s wounded, weary spirit during the Dreaded Week Two (during which many NaNo-ers tend to give up). I take my joe with stevia and almond milk. 5. #WORDWAR AND #NANOWORDSPRINTS ON TWITTER! This year, I participated in these for the first time ever. The idea is to meet up with other WriMos on Twitter via these hashtags and challenge each other to meet a certain wordcount goal in a certain number of minutes. I might tweet, “#wordwar for 10 at :20! Who’s in?” which would be my invitation for others to join me in writing like chimpanzees on meth for 10 minutes straight, starting at 20 minutes past the hour. These meet-ups worked okay for me. They worked because of everything I nattered on about in point #2 above. They didn’t work, because if I did too many of them on any given night, I burned out fast. Some writers can pound out 1500 words in 30 minutes and turn right around and do another 1000 during the next 30. Me, I struggle to get 600 or 700 in half an hour. There’s something about my attention span and stamina that requires me to take frequent, brain-resting breaks. Anytime I ignored this, I burned out on #wordwar and #nanowordsprints. But still, there is point #2, which is why point #5 is worth including. Don’t mind this. It’s nothing but gratuitous silliness. 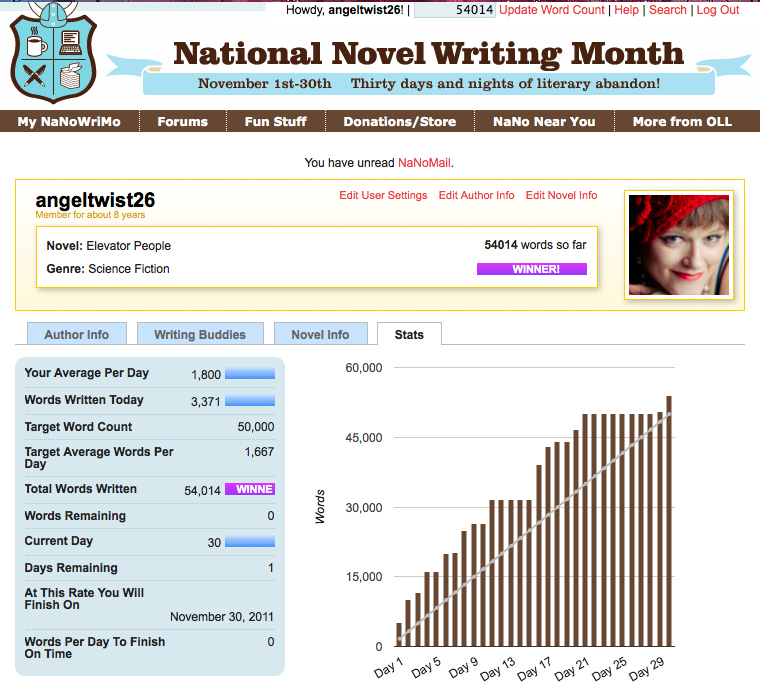 The last time I completed the first draft of a novel separate from NaNoWriMo was in 1999. (It was my final project for my bachelor’s degree; I had a deadline; see point #1.) Since then, every time I’ve tried to finish a non-November novel, my Inner Editor has tied my hands to the back of my chair and refused to let me finish the story. She has to tinker with it, and she is never satisfied. The hussy gets in my way. Every November, I banish my Inner Editor to the deepest mental dungeon I’ve got. She rails at me from behind those bars. She weeps and gnashes her teeth. She pleads. She wheedles. When I have something to work with, I let Inner Editor out of her prison. She is up the stairs in a flash, pretty much rabid with desire to get her hands on my story. By this time, you see, she is hungry. Me, I meander upstairs and make myself another cup of coffee. I can already hear her in there, crowing with delight as she highlights, deletes, and backspaces. Every so often, I peek over her shoulder to watch her progress. She might even ask me a question or two about plot arc or character development. For a manic, starving thing, she can be disturbingly generous. But mostly, I just stay out of her way and let her work. She’s gonna craft and hone me a story that will knock your socks off.